This small ranch received several renovations, drastically changing the appearance of the exterior of the home. 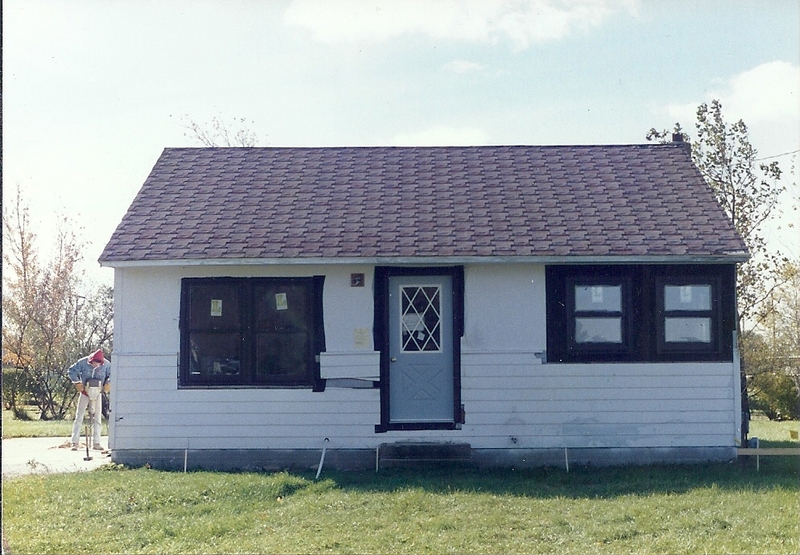 This remodeling picture displays the home before the major addition of the attached garage. The front door, as well as the windows, are brand new. The vinyl siding is currently being installed and foundation work is being done in preparation for the garage addition.